Devitt are giving you the chance to be a VIP at Bike Shed London 2019, set in London’s historic and beautiful Tobacco Docks. We’re giving away three pairs of tickets to the exclusive Press Preview Event, which runs from 7pm – 11pm on Friday 24th May 2019. Europe’s biggest and best independent annual motorcycle show, always on the last bank holiday weekend in May, celebrates the creativity of the new-wave and cafe-racer custom motorcycle culture, with over 240 curated custom motorcycles, unseen in the UK, from all over the world, plus live music, art, photography, and hand-made accessories alongside selected brands, retailers and exhibitors. Why go VIP? VIP Tickets are limited to 2,000 attendees, and the Friday evening vibe is quite different with more of a party atmosphere, so, beat the crowds and hang-out at the bar with the bike builders, the manufacturers, the brand bosses, the Bike Shed crew, and Gold members. Make sure you enter your Name and Email Address in the form below and click ‘Submit’, it really is that simple! Our winners will be picked at random on Wednesday 24th April 2019! Would you like to subscribe to the monthly Keep Britain Biking newsletter? 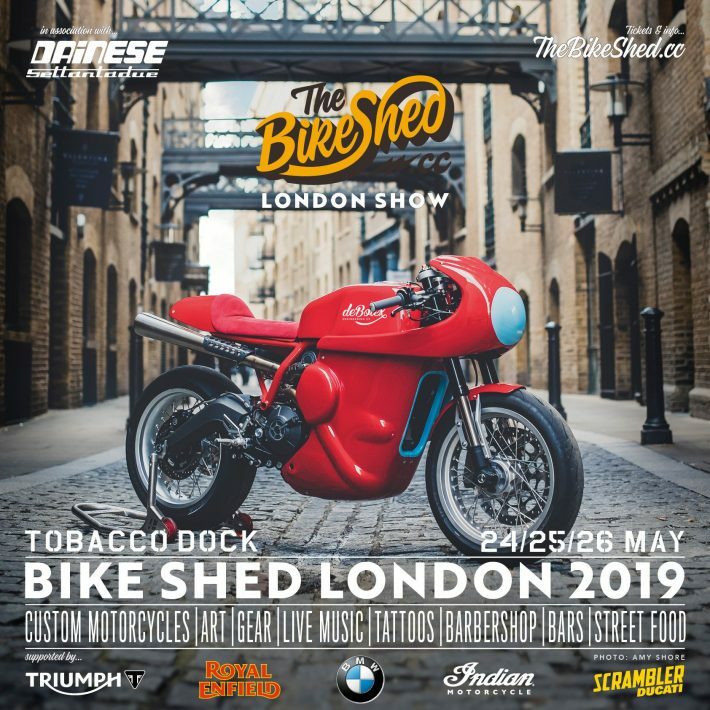 There are three prizes, each consisting of a pair of VIP tickets to Bike Shed London 2019 Press/Preview Event on Friday 24th May 2019 only. To enter the prize draw, entrants must complete the entry form on the competition page of the Devitt website (www.devittinsurance.com/competition). The prize draw will run from 2.00pm (GMT) on Wednesday, 17th April 2019 to 12.00pm (GMT) Tuesday, 23th April 2019. Only entries during this period will be counted. The winner will be selected randomly on Wednesday, 24th April 2019. The winner will be contacted by email about their prize. The winners must claim the prize by 5pm on Wednesday, 1st May 2019, otherwise the prize will be deemed forfeited and the promoter reserves the right to select an alternative winner. The winners agree to take part in any publicity connected with this prize draw.